Coconut oil or Copra oil is an edible oil extracted from the kernel or meat of matured coconuts harvested from the coconut palm (Cocos nucifera). 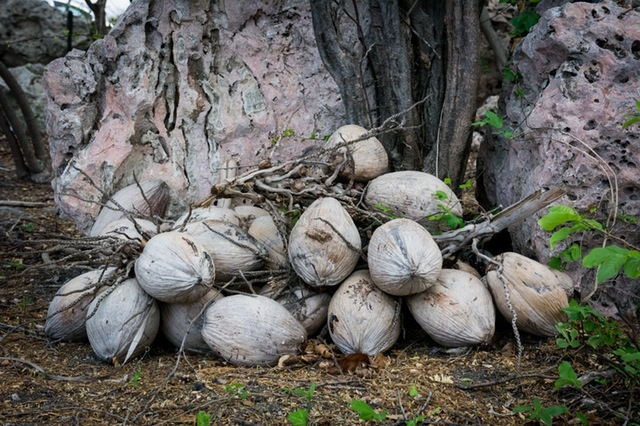 The coconut is known for its great versatility as seen in the many uses of its different parts and found throughout the tropics and subtropics. It has various applications in food, medicine, and industry. Coconut oil is produced in various ways for different purposes. These are Dry process, Wet process, Refined, Bleached, & Deodorized (RBD), Hydrogenation, and Fractionation. The fractionated process is the type I have chosen to use. This process is used to isolate caprylic acid and capric acid, which are medium-chain triglycerides better known as (MCT), as these are specifically used for medical applications, special diets and cosmetics. According to the Environmental Working Group (EWG) database, coconut oil ranked 0, being no concern when used in a cosmetic foundation. Kaolin Clay is a substance mostly found in soils that have developed from the natural process of weathering of rocks in hot, moist climates. A good example of such a climate is the tropical rain forest. 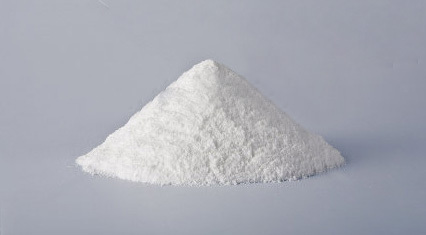 Other names for this substance are: China clay, White clay, White Cosmetic clay and Kaolinite. 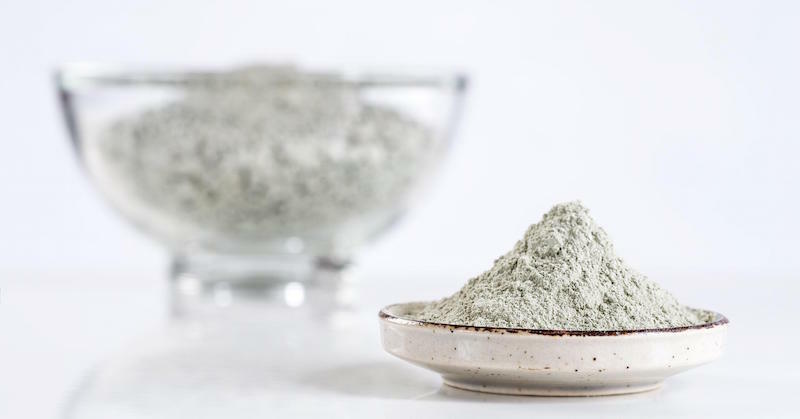 The unique minerals and phyto-nutrients present in the clay are also used as a skin detoxifying and cleansing agent. Kaolin also contains a high content of silica that helps in the removal of dead skin which aids in its regeneration and keeps the skin moist. According to the Environmental Working Group (EWG) database, kaolin clay ranked 0, being no concern when used in a cosmetic foundation. Argan oil is a plant oil produced from the kernels of the argan tree which grows only in Morocco. 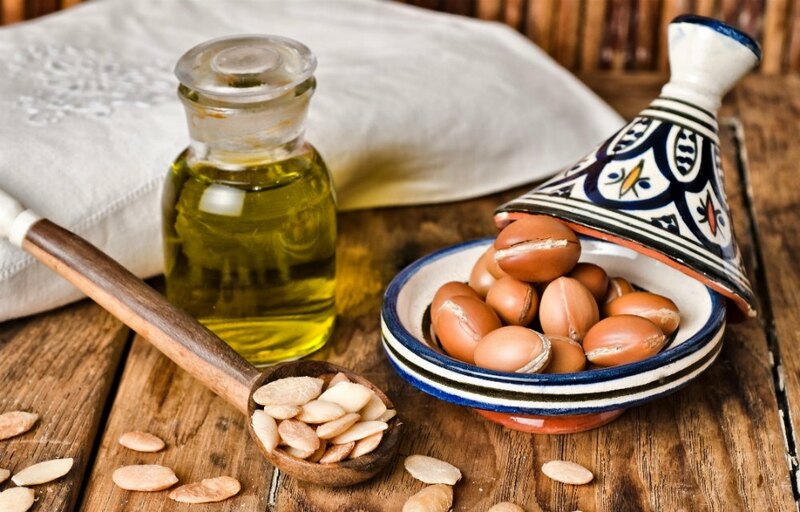 In Morocco, argan oil is used to dip bread in at breakfast or to drizzle on couscous or pasta. Moroccans also use argan oil to treat skin diseases, and as a cosmetic oil directly for their skin and hair. Here in the states, argan oil is used in cosmetics, as a moisturizing oil, treating juvenile acne, flaking of the skin, as well as for nourishing the hair. This oil has also medicinal uses against rheumatism and the healing of burns. Argan oil is naturally rich in antioxidants, which helps prevent cell oxidation and resulting ailments. Vitamin E is the primary antioxidant in pure argan oil, and it helps to keep oils in the skin naturally balanced by providing naturally oil-free moisture. At the same time, vitamin E naturally decreases skin inflammation caused by acne. Argan oil also contains linoleic acid as well as oleic acid. Linoleic acid is an essential fatty acid that naturally occurs within the seeds of the argan fruit. With regular application, linoleic acid promotes healthy skin cell turnover to prevent clogged hair follicles. Oleic acid promotes healthy levels of sebum production. If you have dry skin, then argan oil can help by producing more natural oils that won’t clog your pores. On the flip side, oleic acid in argan oil can help keep excess sebum at bay in oily skin types. 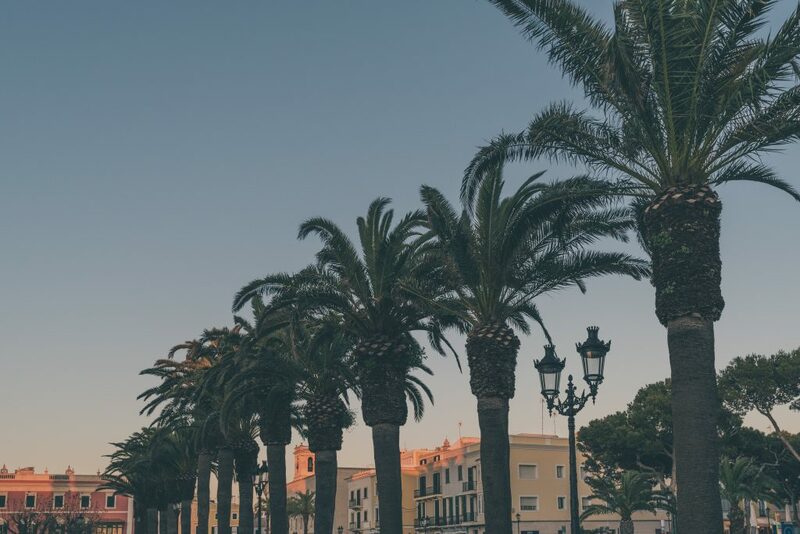 According to the Environmental Working Group (EWG) database, argan oil ranked 0, being no concern when used in a cosmetic foundation. Carnauba, also called Brazil wax and palm wax, is a wax of the leaves of the palm Copernicia prunifera, a plant native to and grown only in the northeastern Brazilian states of Piauí, Ceará, and Rio Grande do Norte. It is known as the “queen of waxes” and in its pure state, usually comes in the form of hard yellow-brown flakes. It is obtained from the leaves of the carnauba palm by collecting and drying them for processing. Because of its hypoallergenic and emollient properties as well as its shine, carnauba wax appears as an ingredient in many cosmetics formulas where it is used to thicken lipstick, eyeliner, mascara, eye shadow, foundation, deodorant, various skin care preparations, sun care preparations, etc. According to the Environmental Working Group (EWG) database, carnauba wax ranked 0, being no concern when used in a cosmetic foundation. Ozokerite is a naturally occurring wax found near soft shale. Most of the Ozokerite used in commercial applications is mined in Eastern Europe. Raw Ozokerite is black in color but after refining, its color varies from yellow to white. Ozokerite yields a candle-making material when heated but with a higher melting point than petroleum based paraffin waxes. For this quality, it is the preferred binder of ingredients in lipsticks and cosmetics. And according to the Environmental Working Group (EWG) database, Ozokerite Wax ranked 0, being no concern when used in a cosmetic foundation. Titanium Dioxide is a substance as old as the earth itself. It is one of the top fifty ingredients produced worldwide. 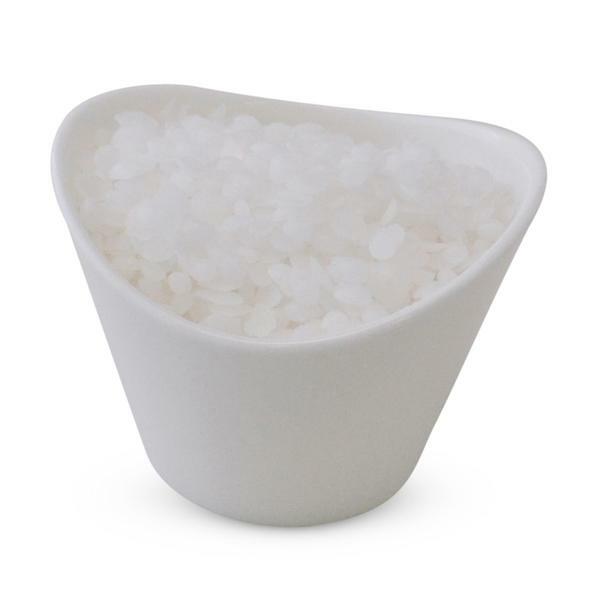 It is a white, opaque and naturally- occurring mineral that is refined to remove any impurities. This mineral can be found in many products, ranging from paint to food to cosmetics. In cosmetics, it serves several purposes. It is a white pigment, an opacifier and a sunscreen. 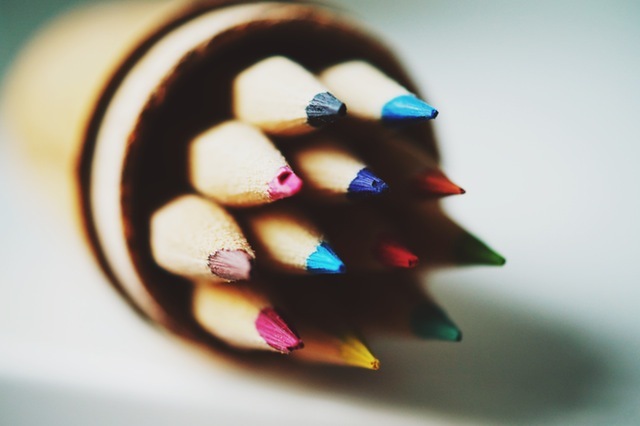 Titanium dioxide is listed as a safe pigment, with no known adverse effects when used in cosmetics. And according to the Environmental Working Group (EWG) database, titanium dioxide ranked 1, being an extremely low concern when used in a cosmetic foundation. Iron Oxides are naturally occurring mineral deposits that contain trace amounts of metals. These compounds range in a variety of earth-tone colors and are used as pigments in a variety of applications. Because Iron Oxides contain trace amounts of heavy metals, they are regulated by the FDA. But since the percentage of Iron Oxides used in cosmetic ingredients is such a small amount, the FDA claims they do not pose any type of risk to human health. And according to the database of the Environmental Working Group (EWG), Iron Oxides ranked 2, being a very “low” concern when used in a cosmetic foundation.